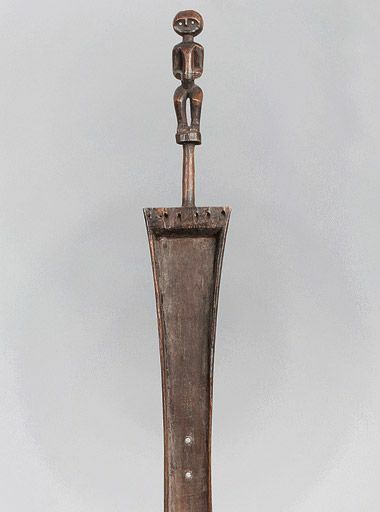 Zither from the Pare in Tanzania. Wood, dark brown patina. Slightly recessed body, a male figure is carved on the upper edge of the instrument. The strings are missing.